Starting every morning with prayer is an important practice that can help begin the day with positivity and a focus on God’s word. Prayer holds the power to center us and to guide us into the flow of the day. It also helps people keep an eternal perspective amid life’s chaos, reminding us of God’s power in both good and bad times. Offering a morning prayer of thanks is an incredible way to start the day. God, the giver of life, allows each of us to wake up to new beauties each day, so it’s important that we turn to Him and offer up our gratitude. Dear Lord, thank you for allowing me to awake to yet another beautiful day. I am grateful for the beauty of the sun and Your other creations. Despite sometimes forgetting to proclaim my thanks, I am overjoyed by the wonders around me. Thank you for my life. In Jesus’ name I pray, amen. Lord, despite the challenges and struggles of yesterday, help me to focus on You, Your provision over my life and the blessings you continue to bestow upon me. Rather than complaining over what I don’t have, help me to focus in on all the wonderful things you’ve blessed me with. In Jesus’ name, Amen. Lord, help me to focus today on what really matters. I’m so grateful for another day. Please help me to keep that spirit of gratitude as I face the ebbs and flows of life; help me to see the good in the bad and the happy in the sad. Renew my spirit. In the name of Jesus I pray, Amen. Life can get complicated. Various trials, tribulations — and even victories — can leave us looking for strength. When it comes to powerful morning prayers for starting each day, a prayer to God for strength to tackle the day is essential. It’s important to simply ask God to guide us, sustain us and give us the spiritual, physical and emotional power to get through each day. It’s amazing what a prayer like this can do to keep people focused and prepared for whatever comes their way. “Lord, help me not to lean on my own understanding but in everything acknowledge You so that You can direct my words, thoughts and actions. In Jesus’ Name, Amen.” - Sharon Glasgow. God, when I am weak, I know You can make me strong. Please guide me, mold me and make me into the person You want me to be. 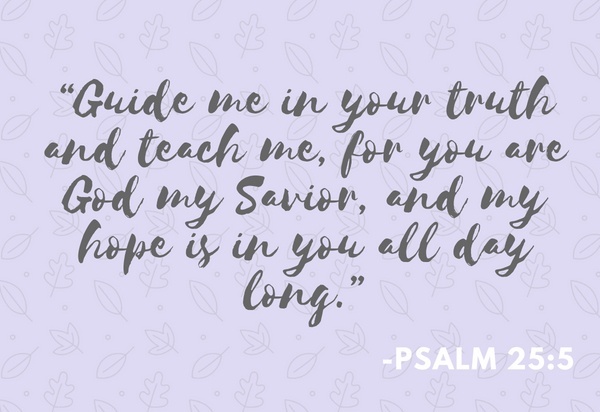 Please guide my heart and strengthen me if and when trials come into my path. In Jesus’ name I pray, Amen. With the quest for strength often comes the need for wisdom and discernment — two elements of the human experience that we can seek out from God. 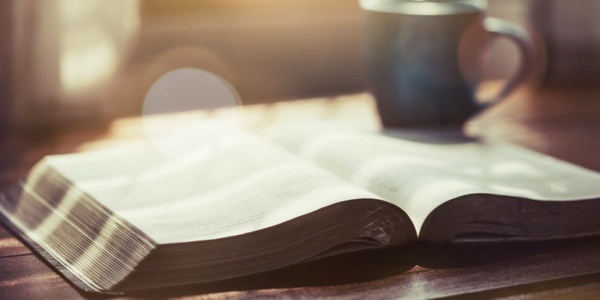 As life throws curveballs and people navigate through the experience, offering morning prayers to God to provide knowledge and discernment is a natural and common sense way to start each day. Lord, thank you for this day. I ask that You would guide my path today and, more specifically, my thoughts, words and actions. Please be with me throughout the day and help me navigate whatever comes my way. Most importantly, help me to reflect and live out my life in a way that is honoring to you. In Jesus’ name I pray, amen. Lord, please give me wisdom, not only to journey through my own day, but to also help others around me navigate their journey. Help me, Lord, to follow Your command to love You and to love others. I need Your guidance to live out the day and to honor You. Please help me. In the name of Your son Jesus I pray, Amen. Lord, I am struggling. I cannot seem to shake the pain of yesterday. Please guide me and help me not only to overcome my struggles, but to deal with the emotions that stream from them. I thank you for your love and compassionate care. Please bless me and sustain me and help me to cope with the coming day. God, please help me to see Your light even in the midst of my pain. 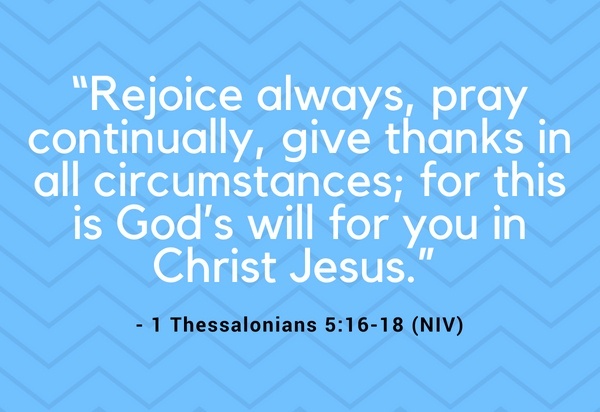 When it seems unbearable and when I am questioning everything, please fill me with Your spirit and give me the sustenance I need to carry on in gratitude and thankfulness. In Jesus’ name, Amen. In addition to giving thanks and seeking strength, knowledge and wisdom, a morning prayer to begin the day that asks God to use you for His purposes is yet another wonderful way to stay centered and to remain open to the blessings that God might do through you in others’ lives. Lord, please use me today in any way You see fit. As You guide my thoughts and actions, please use me to bless others and for Your purposes more broadly. Rather than seeking my own will, help me to align with Yours. Thank you, God, for all you do for me. In the name of your son Jesus, I pray, amen. God, please use me today to help illuminate someone’s path with Your love. Please guide me toward people who need You, and help me to minister to them today. I am excited for what’s to come, and I hope to be able to share the gospel with friends, loved ones and strangers. Please open up those opportunities. In Jesus’ name, Amen. Lord, no matter where I end up today, please use me to speak Your truth into others’ lives. I ask that You would give me Your peace and help me pass it onto others, so that they, too, can live in Truth. In the name of Jesus I pray, Amen. Praying for friends, family and loved ones is another wonderful way to start each morning. It’s a selfless act that seeks to ask God for guidance and assistance for others. From parents praying for their children to individuals invoking God on behalf of friends facing a difficult time, morning prayers for loved ones offer up inspiration and eternal perspective. Lord, it is so easy to focus only on my needs, but I ask that You would bless those around me (consider inserting specific names). Please help my (children, friends and family) to see, feel and experience your love. Please protect and heal my loved ones. I thank You for the wonderful people I have in my life and I ask You to guide their paths and to bring them closer to You. God, please help me reach lost and hurting family members and friends — people close to me who need You, but don’t understand what it means to have a personal relationship with the Almighty. Please give me the words to minister to these people. In Jesus’ name I pray, Amen. Lord, please help [insert name/names] overcome the pain he/she recently experienced. Please help them to see beyond this pain to see and experience Your unending love. In Jesus’ name, Amen. God, you know my heart and you know my struggles. Please guide me today as I face new and old temptations. Please help me to keep You at the center of my thoughts, as I navigate the complexities of a new day. Lord, thank You for my life and all You have given me. Please help me to live out my faith in You in all I do today. In Jesus’ name I pray, Amen. Lord, when temptation strikes, please help me to make choices that will guide me closer to You and not further away. Please give me the strength to overcome these temptations and to avoid falling into patterns of sin. In Jesus’ name, Amen. 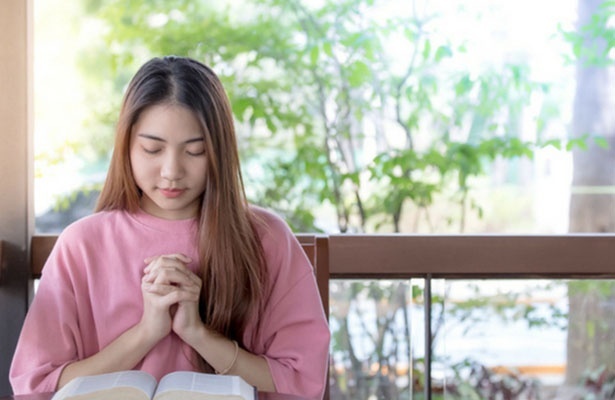 For more about the importance of prayer, be sure to read our tips on creative ways that you can make your prayer time even more powerful.